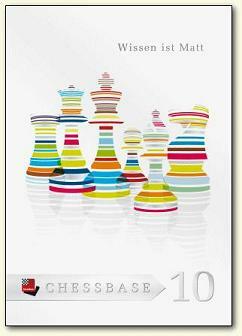 This product from Chess Baron: The upgrade to ChessBase 10. This is the new integrated CB online database and player encyclopedia with over 29,000 pictures. Also included are Fritz 6 engine and the Crafty engine. It's an un-annotated ChessBase database containing 3 million games from 1560 to 2008 in ChessBase high quality standard. 61000 games contain commentary from top players with ChessBase opening classification with more than 100,000 key positions, direct access to players, tournaments, middlegame themes, endgames. The largest topclass annotated database in the world. System requirements: Pentium PC, Windows Vista/XP, 512 MB RAM, DVD-ROM drive.